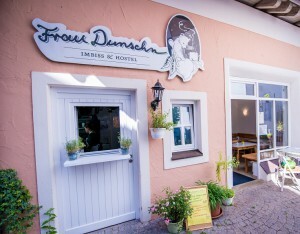 Delicious scents, home cooking in a cozy courtyard, and fluffy, XL beds in a mini XS castle − that’s Frau Dunschn. 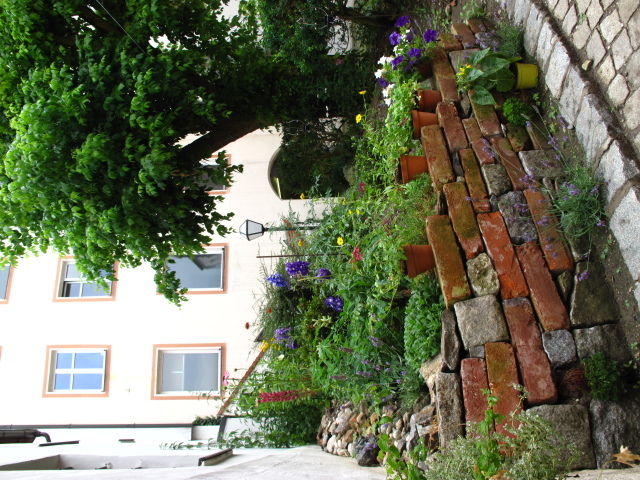 Or simply put: a vegan diner and small hostel in a back-set building in Ludwigstrasse 18 in Passau, in the middle of downtown (7 min walk from the train station and 5 min walk to the historic old town). In our diner, we serve vegan takeaway food like burgers, fries, and sausage, a large variety of fresh salads, and ever-changing daily specials (soup and main course). Whenever possible, we use organic, regional, fair, and homemade ingredients. 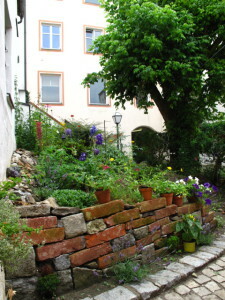 In our hostel, we offer a multi-bed room and a double room, each with its bathroom. Everyone from globetrotters to bike riders to hiking fans can find R&R (rest and recovery) here. But not only these folks! Frau Dunschn has room in its hidden, little house and big, open heart for river riders, urban explorers, cultural historians and anyone else on the lookout for an affordable and comfortable place to rest their tired bones.